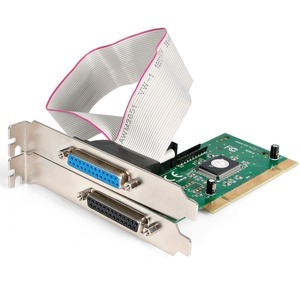 StarTech.com's PCI2PECP is a high performance PCI Parallel Port add-in card giving users 2 additional Parallel IEEE 1284 EPP/ECP ports that allows to connect printers, scanners and portable drives to their PC workstation. The card supports transfer rates of up to 1.5 Mbps for super fast data transfer. The card includes drivers for Windows XP, ME, 2000, 98, 95, NT4, E4, DOS and Linux. 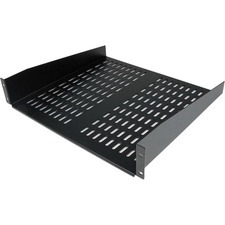 Plug-and-Play connectivity and step-by-step instruction manual make it easy to install and use. IRQ sharing feature also eliminates IRQ conflicts.